Gold prices edged up on Monday as expectations the US Federal Reserve will be accommodative for the rest of the year weighed on the dollar though increased risk appetite limited bullion’s gains. 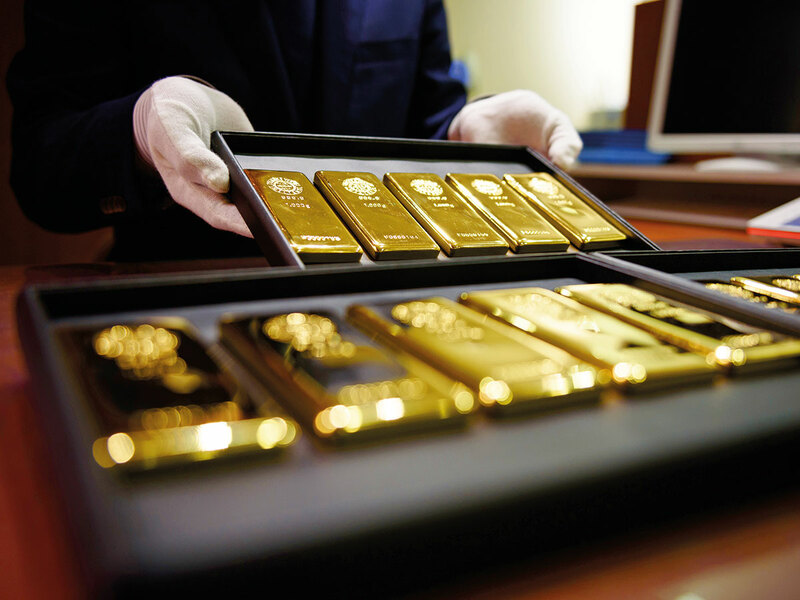 Spot gold was up 0.3 per cent at $1,304.81 (Dh4,791.8) per ounce by 1031 GMT. 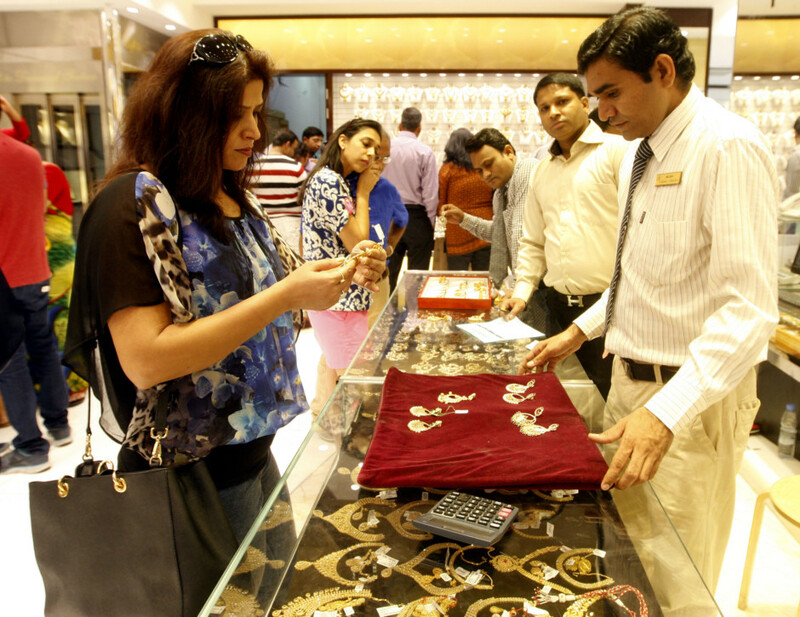 US gold futures gained 0.2 per cent to $1,305. The Fed will begin its monetary policy meeting on Tuesday, which ends with a news conference on Wednesday. “With lack of any other news, the inspiration [for gold] is coming from a softer dollar,” Saxo Bank analyst Ole Hansen said. Markets currently expect there will be no rate hikes this year, and are even building in bets for a rate cut in 2020. The dollar index slid 0.2 per cent, having posted its biggest weekly decline since early December last week. Global stocks rose to their highest in five months as traders began to price in an accommodative stance from the US central bank. Data on Friday showed speculators reduced their net long positions in gold for a third straight week. “There is no specific, significant driver for gold at the moment; it is likely to remain steady around the psychological $1,300 level going into the Fed meeting,” said Jigar Trivedi, commodities analyst at Mumbai-based, Anand Rathi Shares & Stock Brokers. Holdings of SPDR Gold Trust, the world’s largest gold-backed exchange-traded fund, fell 0.2 per cent on Friday. Holdings are down 1.7 per cent so far this month and 2.1 per cent since the beginning of this year after rising nearly 5 per cent in January. “On the technical front, $1,275 is likely to remain a good support [for gold], while on the upside, $1,310 and beyond that, the $1,355-60 level are the resistance levels to watch out for,” Trivedi said. Among other precious metals, palladium was down 0.1 per cent at $1,559.25 per ounce, close to a record peak of $1,567.50 hit in the previous session. Silver gained 0.4 per cent to $15.34 an ounce, while platinum rose 0.6 per cent to $833.